Cosmological inflation models based on Einstein–Gauss–Bonnet (EGB) gravity with a nonminimal coupling of the scalar field and the Gauss–Bonnet (GB) scalar in the four-dimensional Friedmann–Robertson–Walker universe are considered. A method for construction of exact solutions based on the relationship between these models and the standard inflation with Einstein gravity is presented. 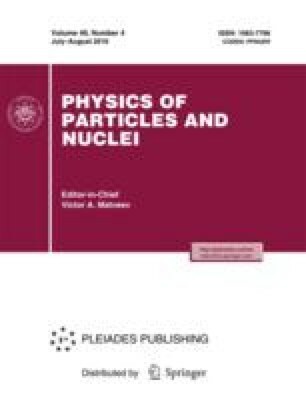 1A report delivered at the International Session-Conference “Physics of Fundamental Interactions”, Section of Nuclear Physics, Physical Sciences Division, Russian Academy of Sciences, dedicated to the 50th anniversary of the Baksan Neutrino Observatory, Nalchik, 6–8 June 2017. The author is grateful to S.V. Chervon for discussions and comments on this work.The work was supported by the Russian Foundation for Basic Research, project nos. 16-02-00488 A and 16-08-00618 A.